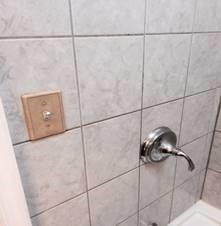 Electrical switch in the shower! Taking a shower in this restroom could be a shocking experience! Never install electrical so close to water!